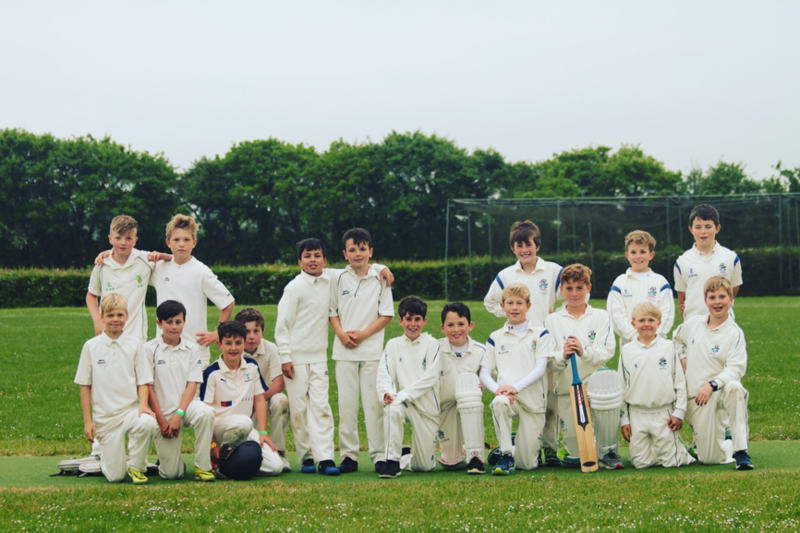 Congratulations to Millfield school who progress to the next round of the Saracens cup in the under 11s Cricket. The game was played under Barrington rules, and finished 243 - 207. The Hugh Sexey team really couldn't have performed much better, and will hopefully learn a lot by playing against such a quality team. The batting pair of Nick Whittingham and Will Bougard performed well hitting 8 runs between them for no outs. Will Creaser and Tom Beane also put in a solid shift, hitting 14 for 2. This was against a particularly good fast bowler, who caused real difficulty with his delivery. When Hugh Sexey were in the field, they performed well, but were unable to prevent some well executed shots from Millfield. Alex Scott took a lovely wicket in the 6th over and bowled a further 5 dot bowls. Tom Beane showed excellent resolve by putting a testing over behind him to bowl a great wicket in the 8th over. Spinner Olly Richards made a great catch from a Will Bougard bowl, and both players really put themselves about in this fixture. Kenny Poole gave a good overall performance, performing well with bat and bowl. Behind the stumpts Thelonius Jagger had a very good game as wicket keeper. He was put into an unfamiliar position, but showed real promise and bravery. Will Creaser enjoyed the opportunity to play against a lot of County players, and was delighted to bowl out a fellow Somerset player in the 9th over. The Hugh Sexey players should be really proud of their performance and can look forward to the Whylie Shield and the indoor SASP competitions.